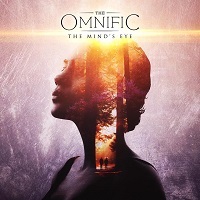 THE OMNIFIC is a Progressive instrumental band from Melbourne, Australia featuring two bass players and a drummer. Two EPs deep and a new single on the way in October 2018, the band has attracted immense interest from all corners of the globe. Their accessible style is for all music lovers; from those seeking to be challenged to those who wish to be blanketed by atmosphere, creating an identifiable sound and resulting in a strong, diverse international fan base. “The Mind’s Eye” contains six tracks. “The Stoic” leads off the album, a first with tender bass notes and an air of mystery. Then the bass thuds hard along with the drums. The bass then picks up and waxes and wanes, with an ambient atmosphere in the background…very dreamy. “Khimaira” opens with some real moments of melody, as a satisfying smile begins to form on your face. Both bass players are quite talented, and Lematua keeps the perfect time behind the skins. The build a charming and mellow atmosphere here, but they can play in perfect unison, bouncing off one another while maintaining a core sound. “The Lifeless Charm” opens with some electronica before the first bass guitar comes in hard, thwacking away with heavy accents, while the other fingers away faster notes above it. This song has some more meaty parts to it and if you love the bass guitar, you will love the way they work here. At the half way mark, they slow it down, into a beautiful melody, and then it’s back to the heavy lifting. “Moonstruck” opens with birds chirping, and a simple but tender melody. Fack and Peterson-Stewart dance together here as well as two seasoned ballerinas, blending as one. “Final Tree” has a wonderful melody that hits you full on from the start, with some background ambiance. They play peacefully and with some melancholy that reminds me of OWANE. They command they have over their craft is extraordinary, but never at the expense of the song itself. “Erin” closes the album, with what sounds like a deeply personal song. It could be a tribute to a lover, or the lament of a lost love. Either way, pretty tones abound here. It’s slightly sad sounding, but in that way that makes you heart ache, especially as they bring it to a crescendo, followed by that beautiful atmospheric ending. Overall, I can see what the hype was about. The three musicians play so perfectly together that they create a synergy that you can feel, pulsing inside. They are masters at their craft, but prefer to create something meaningful besides just a series of dexterous runs. They create layers and soundscapes, each song taking you to a different place. As I said before, it reminds of multi-instrumentalist OWANE. If you are a fan of his work, I have no doubt that you will love this album. Definitely off the beaten path a little but very well worth your time to listen to.